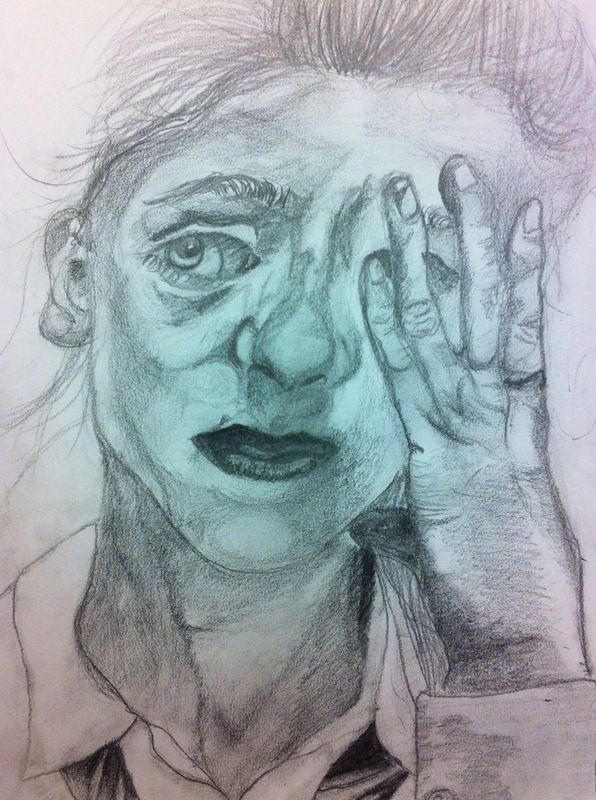 I just love this pencil portrait from Shannon H (S3/OLSP). She was asked to draw an expressive and detailed self-portrait. Usually when female pupils are asked to draw a portrait they end up drawing few features and think it’s for the cover of Vogue Magazine. So it’s a real treat when you see a drawing like this, showing emotion, expressive lines, warts and all. I absolutely love Shannon’s style, it’s very tangled and sketchy, like threads loosely wrapped around an object. You could easily compare it to the likes of Peter Howson or Edvard Munch. It’s now one of my most favourite pupil pencil drawings of all time.